Compared with the ancient churches of Byzantine or Crusader origin in Jerusalem’s Old City, Christ Church is a relative newcomer. 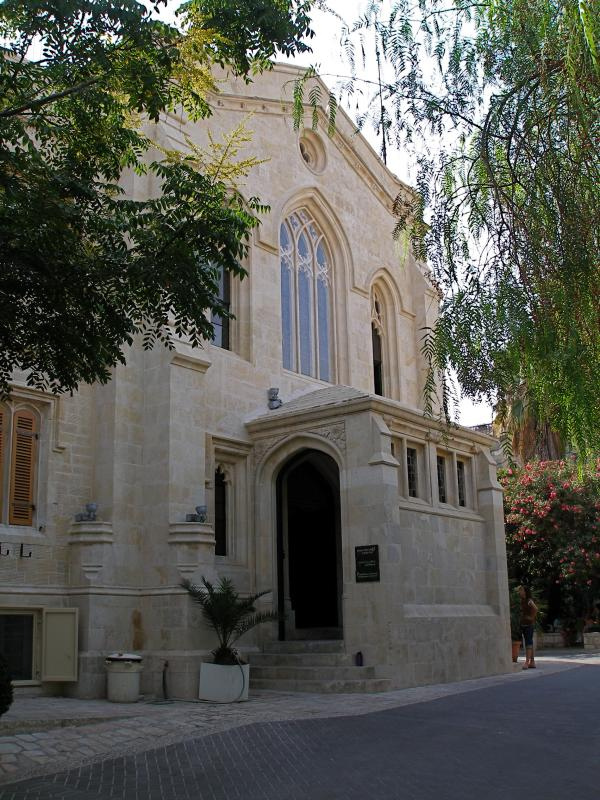 Yet this Anglican church, dating only from 1849, has its own historical claims: It was the first Protestant church in the Middle East, and the first Jerusalem church in modern times to use bells to call worshippers. 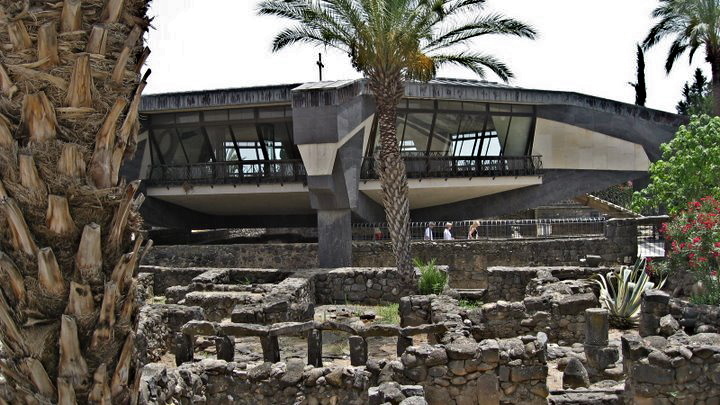 It may also be the only Christian church built to resemble a synagogue. Christ Church, opposite the Citadel inside the Jaffa Gate, owes its existence to a 19th-century English initiative to bring Jews to Christianity. In its early years it became known as the “Jewish Protestant Church”. Now its evangelical Anglican congregation — affiliated to the Episcopal diocese of Jerusalem — celebrates both Jewish and Christian feasts and incorporates some Hebrew into its liturgy. There is also a Messianic Hebrew congregation and an Arabic fellowship. The church also runs a guest house for pilgrims. Christ Church was established by an Anglican missionary society, founded in 1809, called the London Society for Promoting Christianity Amongst the Jews. It is now called CMJ (the Church’s Ministry among the Jews) and, in Israel, ITAC (the Israel Trust of the Anglican Church). Its founders were prominent evangelicals including William Wilberforce, who led the campaign to end British slavery. 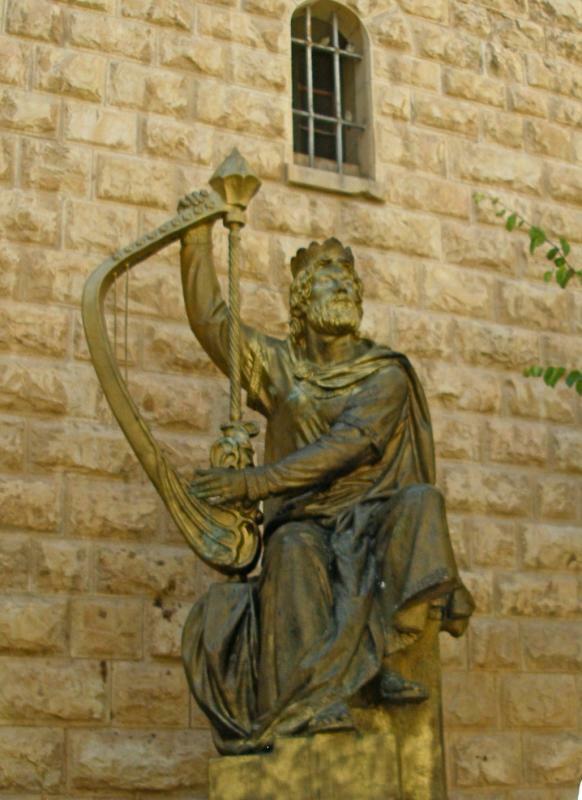 They believed that the Jewish people had to be returned to Palestine (then under Ottoman Turkish rule), where many would acknowledge Jesus as the Messiah, before the Second Coming of Jesus could take place. Their advocacy for a Jewish homeland in Palestine prompted the 1917 Balfour Declaration, in which Britain pledged its support for this objective. 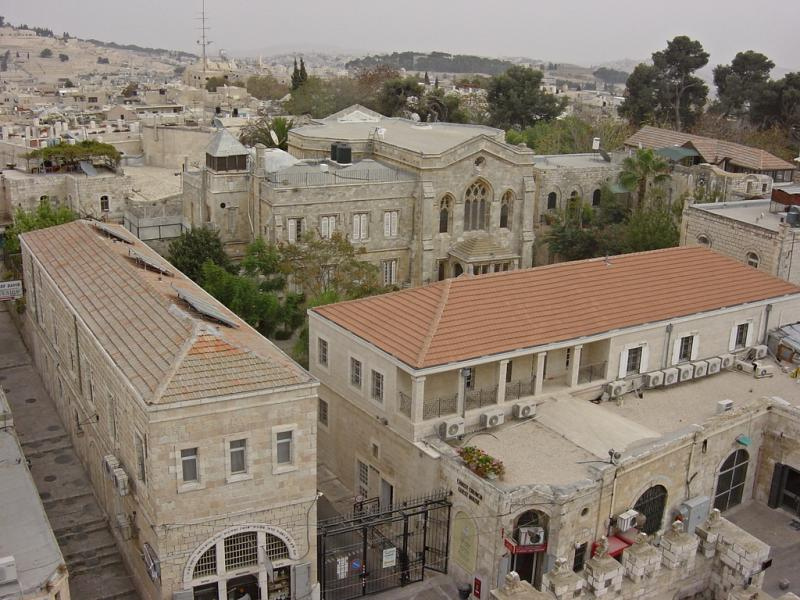 In 1833 the society established itself in Jerusalem — then a city of 90,000 entirely enclosed by the Old City walls — and began its outreach to Jews by founding a trades school, clinics and the city’s first modern hospital. A joint English/Prussian bishopric was established in 1841, on the initiative of King Frederick William IV of Prussia. The first bishop was a former Jewish rabbi, Michael Solomon Alexander, who had come to believe in Jesus while teaching Hebrew in England. Construction of Christ Church, the seat of the bishopric, was not completed when Bishop Alexander died in 1845, after only three years in office. Theological disagreements, combined with rising antagonism between Britain and Prussia, led to the dissolution of the English/Prussian partnership in 1887. 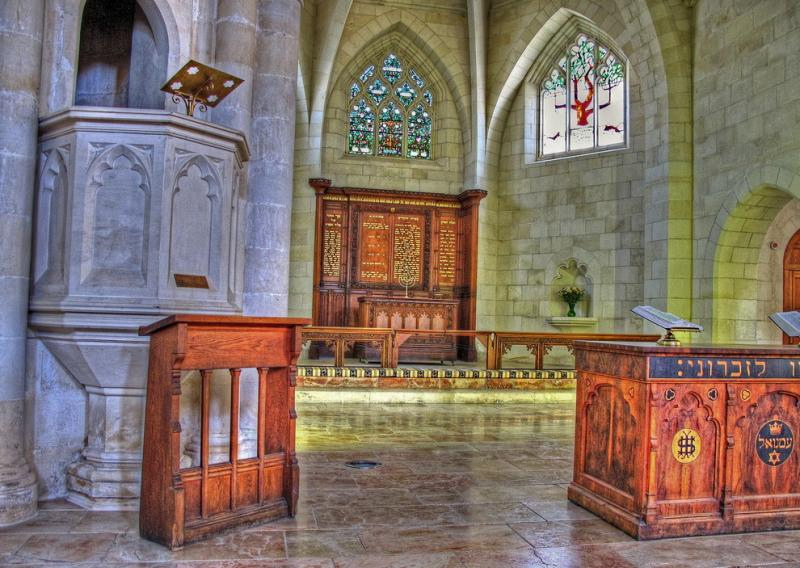 The following year the bishop’s seat was moved to the newly completed St George’s Cathedral, on Nablus Road in East Jerusalem. 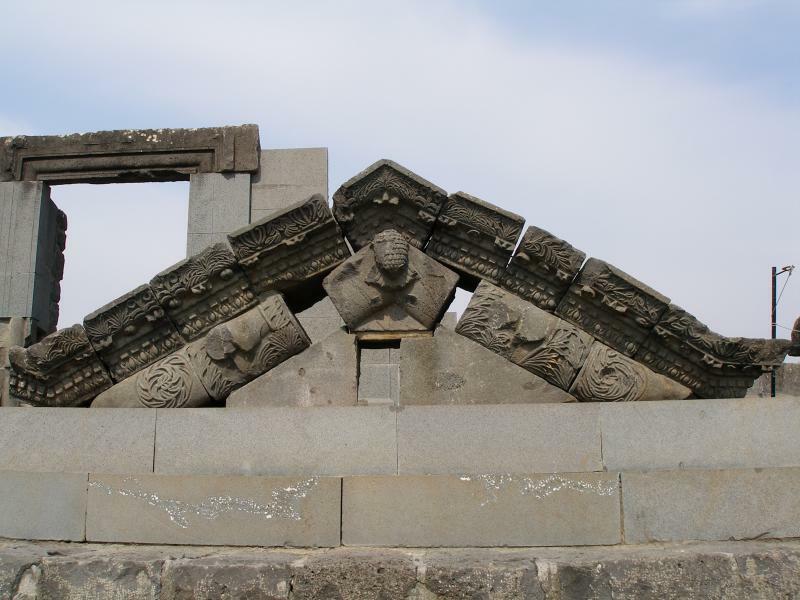 When Christ Church was being planned, Ottoman Turkish law forbade the building of new churches. So the church was built under the guise of being the chapel of the British consul, whose consulate had recently become established on adjacent land. 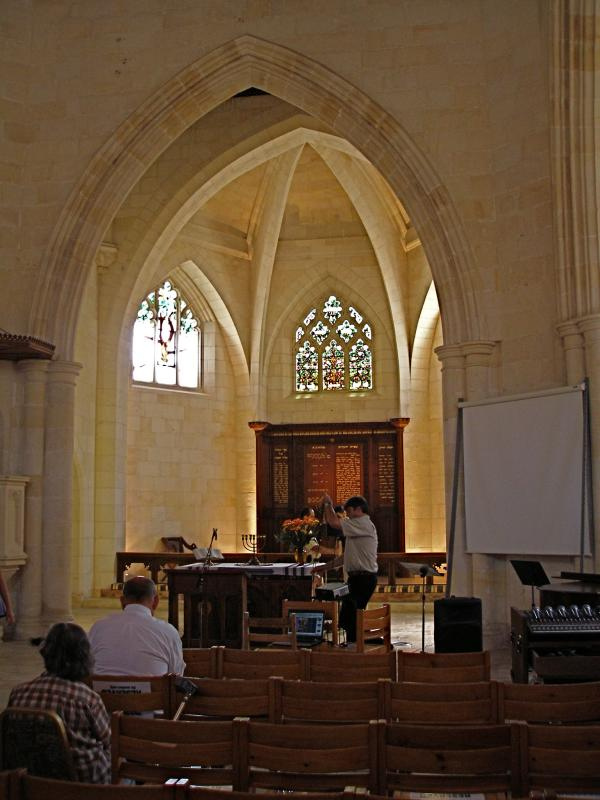 No local tradesmen were capable of building a modern structure with such high ceilings and thin walls, so stone masons from Malta were brought in. By reviving the ancient art of stone cutting, these masons stimulated building expansion in Jerusalem. Because the Muslims Turks did not allow Christians to use a bell to call worshippers, Christ Church was built without a bell tower. Only after the Crimean War (1853-56) did the Anglicans dare to add a modest belfry and ring their bells. Behind its simple neo-Gothic exterior, Christ Church looks more like a synagogue than a Christian church. 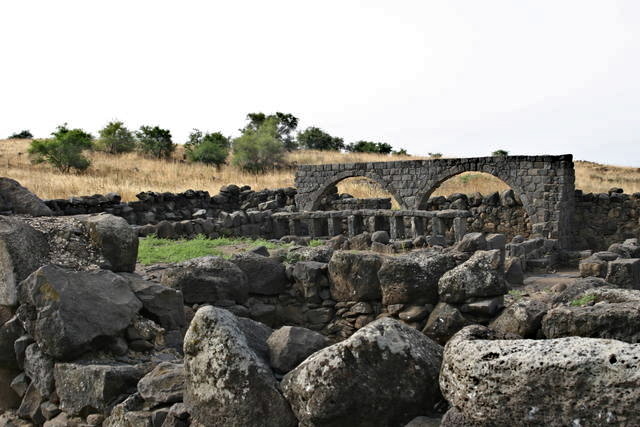 The intention was that Jews who entered it would be reminded of the Jewish origins of the Christian faith. 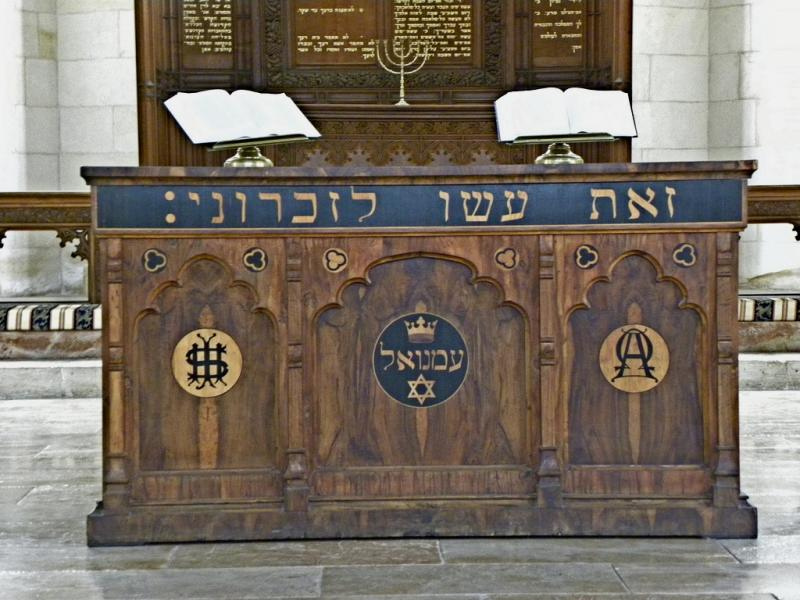 The wooden reredos screen behind the communion table is designed as a reminder of the holy ark in which synagogues keep the first five books of the Hebrew Bible, known as the Torah. 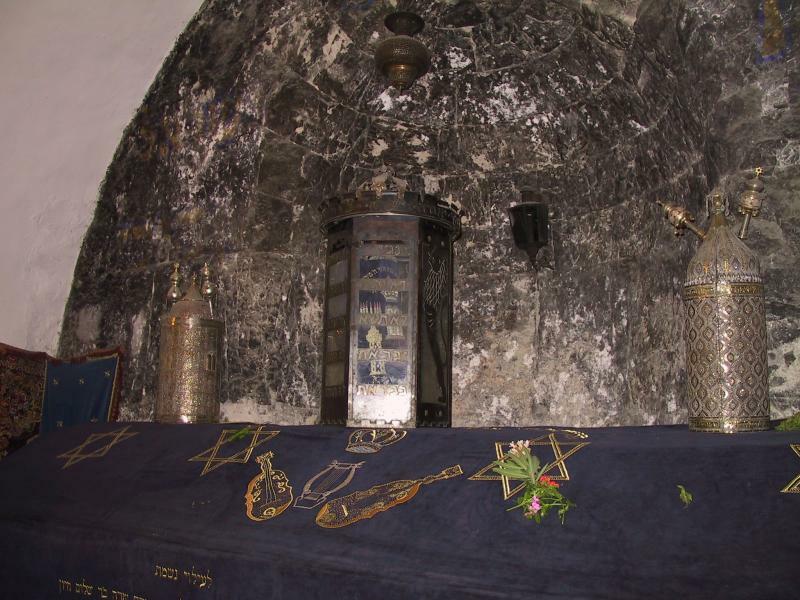 Written on it in Hebrew are the Ten Commandments, the Lord’s Prayer and the Apostles’ Creed. 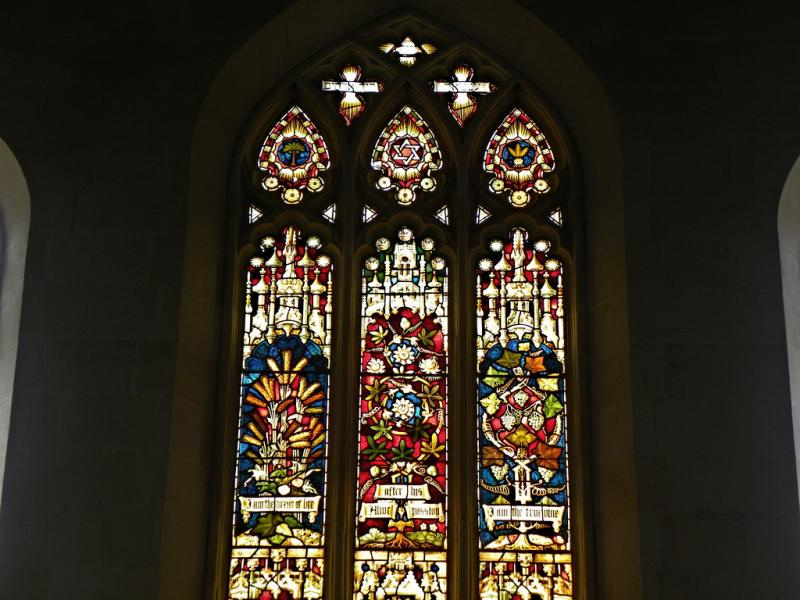 The Jewish lineage of Jesus is signified by the Star of David on the communion table and in a stained-glass window at the back of the church. For nearly a century Christ Church had no cross — until 1948, after the Arab-Israeli war put the Old City under Jordanian control. 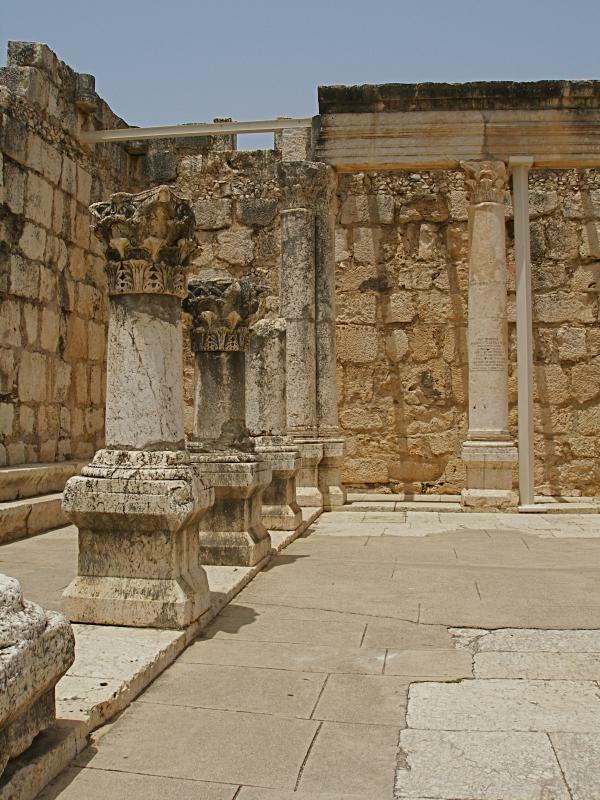 Then the rector hurried to the market to buy an olive-wood cross to place on the communion table, lest occupying Arab soldiers mistook the church for a synagogue.